Frontier still cannot show you what your address DSL speed is, while using their website. Nor can they show you what your bill will be. They have never figured out how to do that. 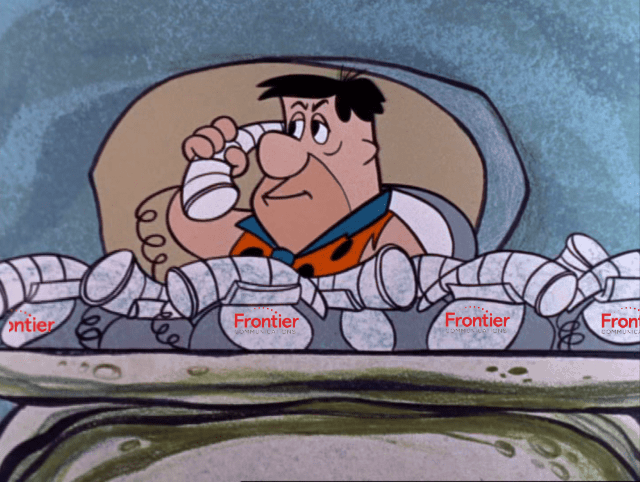 “Frontier still cannot show you what your address DSL speed is, while using their website.” – that’s because their engineering department is too powerful and not accountable to anyone. They need to be dogwalked until they figure out how to automate a pre-order loop makeup query like Frontier already does for wholesale customers. Maybe check that Steve Gable isn’t trapped under a snow bank in Chicago.